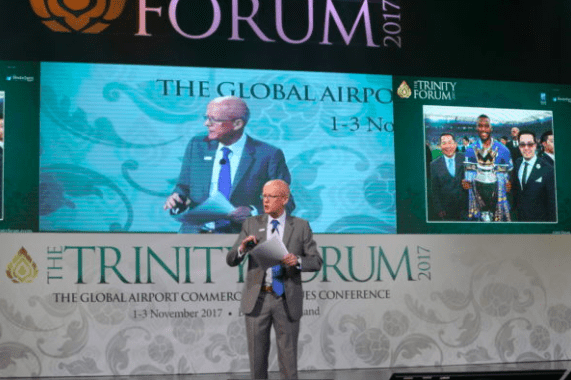 The question posed by the 2017 Trinity event held in Bangkok in Thailand was ‘How does airport retail remain relevant in a changing world’. This event is the world’s most influential airport commercial revenues conference, established in 2003, with speakers from across the globe encompassing airports, retailers, food & beverage (F&B) operators, brands, eCommerce and technology companies. 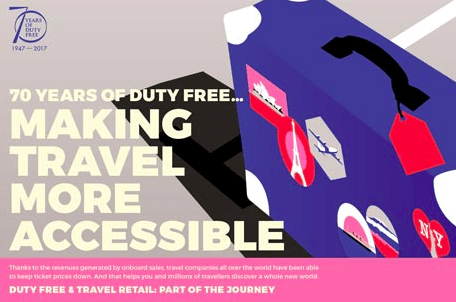 For those working in the global travel retail (GTR) industry, there is a broad consensus on the context in which it operates, even if not on the solutions to drive further growth and resolve its underlying challenges. The GTR channel has many positives, such as the channel’s resilience and longevity (the Duty Free concept started in 1947 as highlighted above); Passenger (PAX) positive growth in numbers; Increased Chinese outbound travel; Russians coming back and spending; More Planes, More Routes; New Airport infra-structure being developed and so on. On the Challenges, some include the Industry’s Contract Tender Model (a legacy ‘bricks & mortar’ model); Lack of Data sharing by airlines and access to consumer data for other stakeholders involved across the passenger journey; Vulnerability to Legislation and External events; and the fact that Younger travellers (such as Millennials) may not see airport shopping as relevant based on today’s offering, amongst other issues. 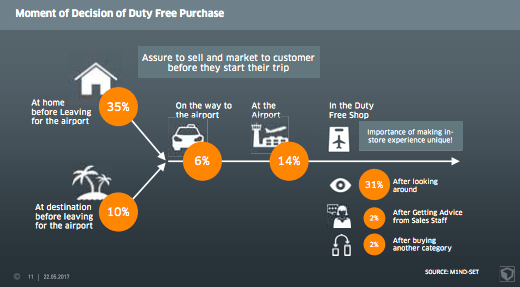 There seems to be an emerging theme of a real desire by consumers for more choice whilst travelling, and for products which may not even necessarily be available on the High Street. This desire for something new may include also craft brands and local products with a sense of provenance. But the question that remains unanswered was how to make it easier for new entrants to enter? Some potential ideas requiring support from the Trinity included: Airports to provide flexible space such as Pop-up Shops at no cost to emerging brands; Themed Shopping Festivals or Events (celebrating craft for example and without the focus on discounting) and also more Store Space dedicated to create the opportunity for new brands to be introduced and trialled, brands such as Loch Lomond scotch whiskies and Wild Tiger Rum (pictured below). The whole retail experience and customer satisfaction whilst travelling needs to be improved and requires transformation. 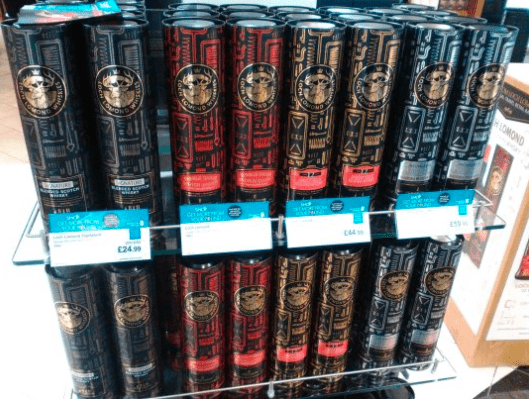 The convergence with consumption through the various formats can potentially help to revitalise the whole experience for the traveller, as per the example shared by Alibaba of Hema supermarket in China domestic (pictured below) – for more info click here. In Airports this would mean potentially trialling a mixed Retail/ F&B format such as Hema. This would have to be facilitated by Airports in conjunction with their concessionaires. User experience would have to be at the centre of it and data will inevitably need to play a role here. This change in approach to improve the traveller experience is already being actively pursued by Gategroup for airlines specifically, in order to differentiate against airports. 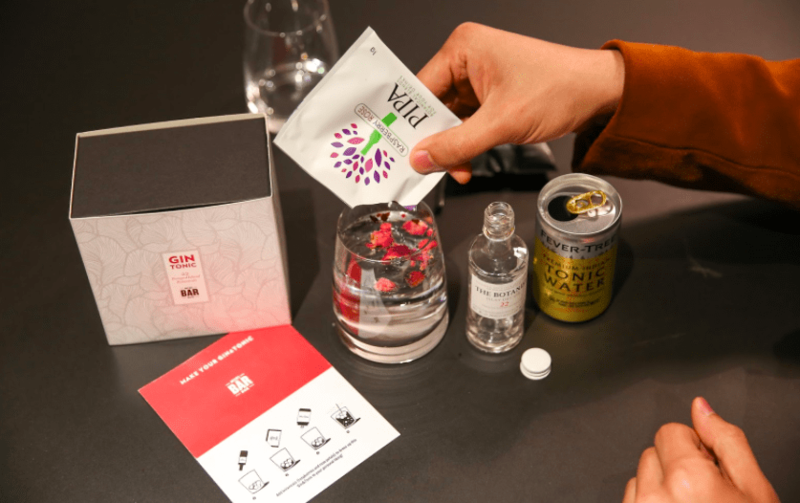 They are tempting the consumer with new concepts such as the Mini Bar Box (pictured below), Absolutely One offer being run with LatAm airlines, and unique beverage trolley concepts such as the Illy fresh coffee trolley and the Heineken draft beer trolley. The number of passengers (PAX) continues to grow and yet the store penetration levels remain low, somewhere around 15%-30%. The focus from quite a few retailers is firmly fixed on the high spending passengers in particular, such as the Chinese. 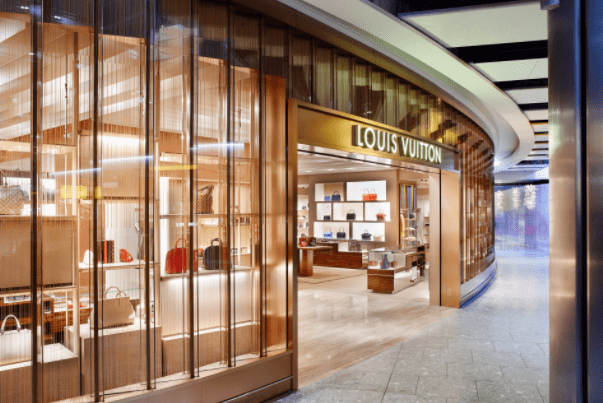 There is also a large amount of space dedicated to Luxury retail at some of the main airports worldwide. But is the balance of the retail offer right? Are we focusing too much on the few and not enough being done for the many? The mix of stores and F&B offering available will inevitably have a real impact on this perception by travellers. One good example of a better mix of offer can be found at Gatwick Airport (see video below for more details on their proposition). New ideas on how to use space at the airport to improve the traveller experience may also be required and could counter any limitations on the retail offer. For example, perhaps there should be some more focus on the dwell time spent at the gate and how this is being utilised. Aside from the basics that should be provided (wifi access, power access, drinks or cafe area nearby, etc) this could be extended further. 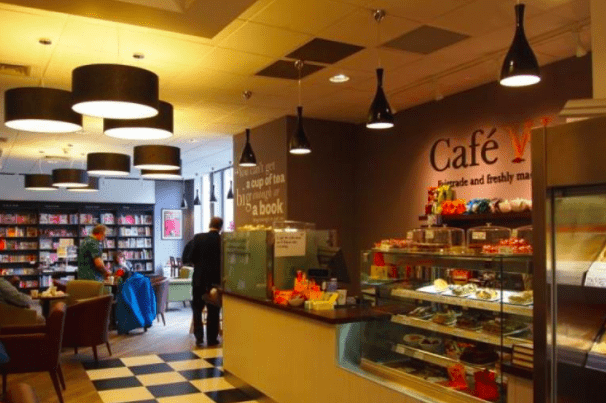 Perhaps a convergence with Travel Essentials by having an expanded bookshop/ F&B area in each terminal where travellers could come and browse books, drink hot drinks as they would in certain high street bookshops (pictured below). Inevitably this would attract those with dwell time to spend and may lead to a book purchase but more importantly, increase satisfaction and the overall experience. Other ideas for improving the Gate area could include a service guarantee for a ‘takeaway’ order, placed online whilst airside, to be delivered to the traveller at the gate (within a specified time), whether for duty free shopping or F&B. The key theme here is to look at ways to improve the existing retail mix and and services and to trial different ideas to engage with the many and not just the few, whilst actively re-appraising the use of space at the airport. Travellers are a captive audience at the airport and great service with a welcoming smile, by good sales people looking to exceed the customer’s expectation, will always be an attractive proposition. I remain a firm believer on the power of the personal touch if delivered well by staff and I continue to come across some of them in my travels around the World. Needless to say, a consistent service level is required to create this engagement and mystery shopper programmes can provide a real insight into each retailer’s staff capability and development needs as well as reward them for high performance. Lagardere Travel Retail commitment to Service & Quality through their OSCAR programme is a good example – see here for more details. Ongoing training support is also critical for the development of staff as everyone knows. The message however is clear: Digitalisation and Humanisation need to be developed hand in hand. 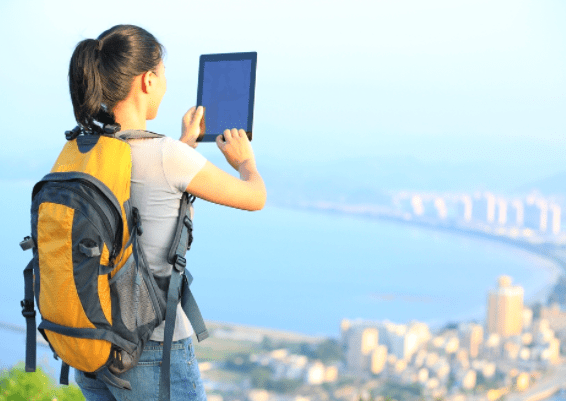 Generation ‘Traveller’ is here with more people on the move globally and the need to develop an approach with extreme customer centricity when engaging with them, in whichever moment of their travel journey they may find themselves in. It is a fact that passenger numbers continue to grow whilst engagement and conversion levels remain low, and this is further exemplified by the growth in travellers ahead of value sales in the GTR channel. One example of a market disruptor from outside of the industry, such as Alibaba, is to build whole ecosystems to make it easy (‘seamless’) for consumers and to provide services. This also involves digitising every aspect of retail, e.g. customers, merchandising, orders, payments, loyalty, etc. 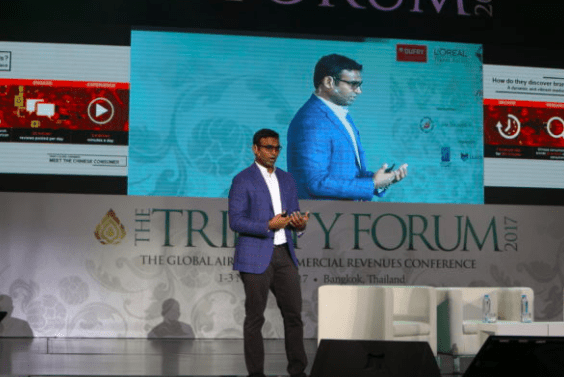 The message given by K Guru Gowrappan, Alibaba Managing Director (pictured above), is for communication to be personalised and engagement to be more experiential for the consumer with less focus on the “one time transaction” at a singular point in time. 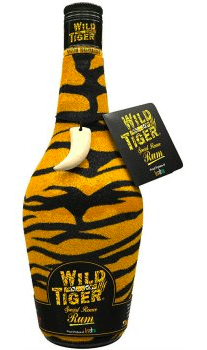 “Unobstructive eCommerce” was the wording used by Kian Gould, founder of AOE and this would be required to influence the moments of decision of duty free purchase (above). 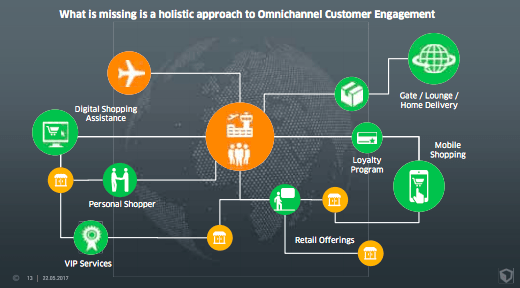 Helping build this holistic approach (below) and participating in this travel ecosystem across the passenger journey: providing services and a better experience to consumers with great product selection/ great product data/ great services. For the Moodie Davitt Report Interview with Kian Gould on being a positive disruptor in airport commerce – click here. 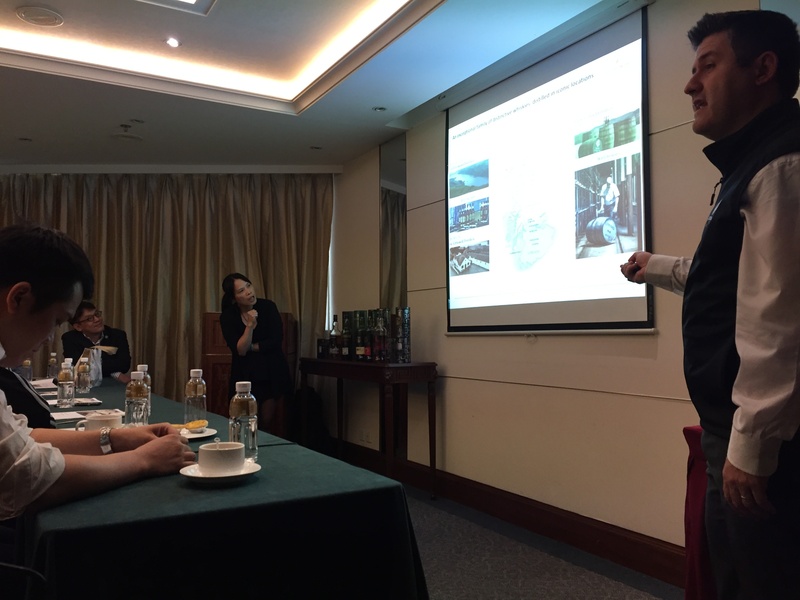 For Insights on Digital Transformation and a discussion involving Kian Gould from AOE – click here.